Major flooding is possible in many areas with heavy rain over the next few days. These are the same areas hit hard last week. 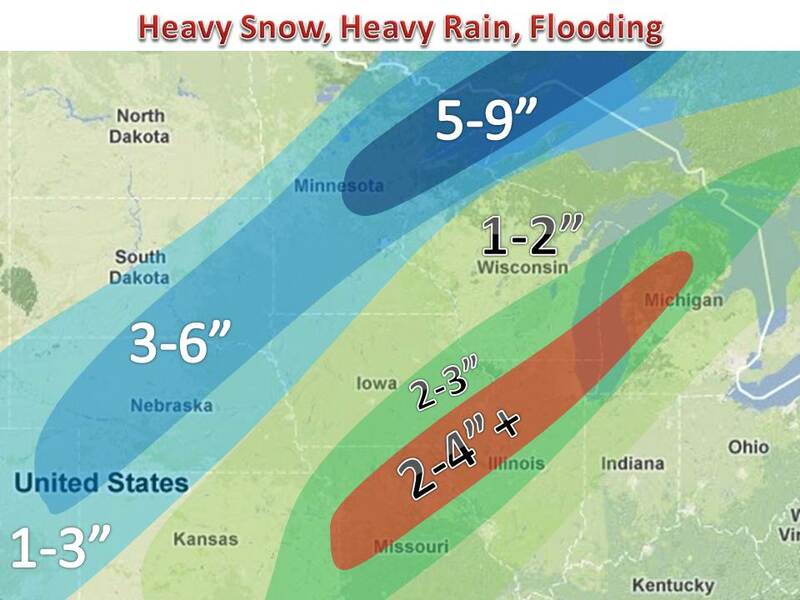 Flood watches and warnings fill the Midwest in anticipation. Soil is either still frozen in spots or saturated in others, making for the worst possible conditions. Areas may see over 5 inches depending of where thunderstorms line up. Oh, and by the way there is a large risk for severe weather, south of Wisconsin. Meanwhile, more heavy snow in western areas. Be sure to check local weather updates and warnings when conditions go down hill.